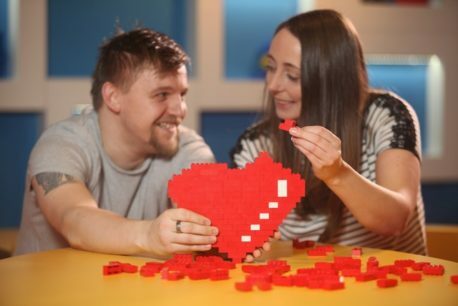 Book tickets: Valentine's night at LEGOLAND Discovery Centre. Valentine's Day gift? Gourmet Spanish hampers at Lunya Manchester from £22. 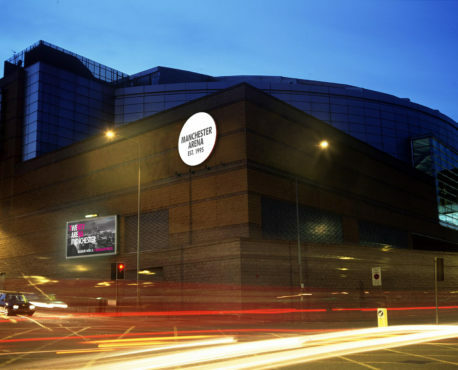 Just the ticket for Valentine's: Manchester Arena celebrates 30,000,000 visitors. 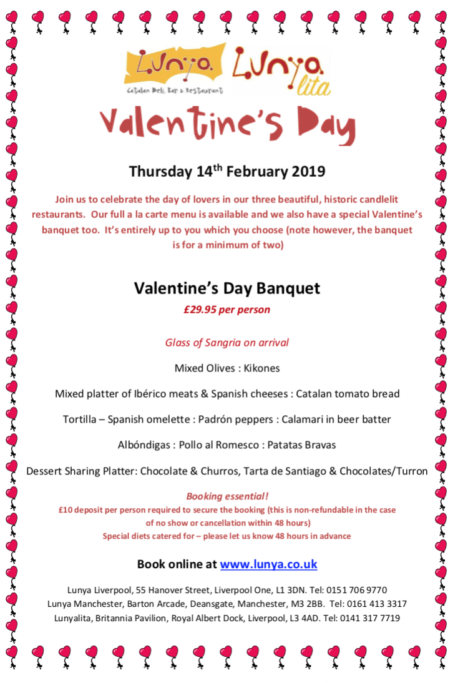 Book now: Spanish Valentine's Day feast for £29.50 at Lunya Manchester. Celebrate Valentine's Day the Spanish way this year at Lunya's romantic, candlelit restaurant in the Barton Arcade. The a la carte menu (read our review) is available, but the special Valentine’s banquet looks irresistible. This Iberian feast includes a glass of Sangria, the finest tapas in town and desserts to share for £29.95 per person. Start with olives, kikones and mixed platter of Ibérico ham and cheeses, followed by our favourite Catalan tomato bread, a delicate tortilla, spicy (and not so spicy) Padrón peppers, tender Calamari in beer batter, proper Spanish meatballs (Albóndigas), the house chicken, served on piquant romesco sauce and, last but not least, patatas bravas. The sharing dessert platter includes freshly made churros with chocolate dipping sauce, Tarta de Santiago, chocolates and Turron. If you don't want to compete with the throng of people that descend on the city once a year for their Valentine's night meal out, you might prefer taking a piece of the city home with you. Lunya are also offering a selection of hampers with a none more fitting 'Bubbles and Chocolate Hamper' (£40) for the old fashioned charmer, a 'Gin Hamper' (£22) for those who prefer a juniper infused night in and the 'Cheese and Wine Hamper' (£58) for the foodie couple. You can even have them delivered to your door. 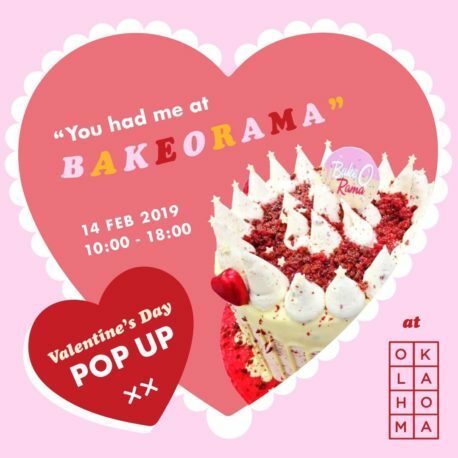 Thu 14 Feb 2019, Lunya Manchester, Barton Arcade, Deansgate, Manchester, M3 2BB. Tel: 0161 413 3317, www.lunya.co.uk For more food and drink in Manchester click here. A Manchester Wire partnership post. Top 5: Valentine's Day events ft. TOY at Yes, movies at Mayfield and more. 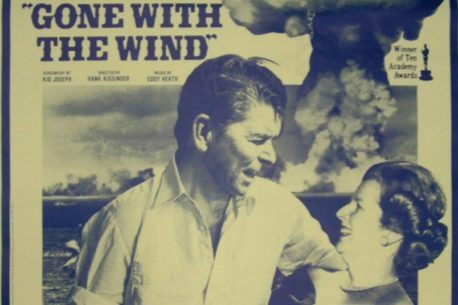 Free: Valentine's tour of radical relationships at People's History Museum. 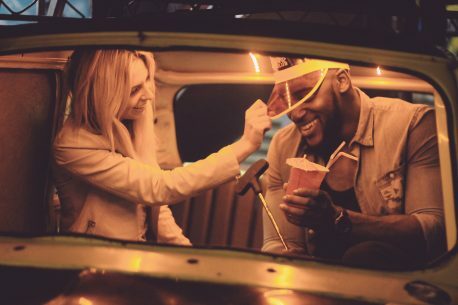 Everything goes to charity: Valentine's Day at Junkyard Golf Club. Top dates: Valentine's Day food & drink events ft. Portico wine tasting, Gallery Cafe & more. Valentine's Day: Get romantic at Flok with unlimited wine. 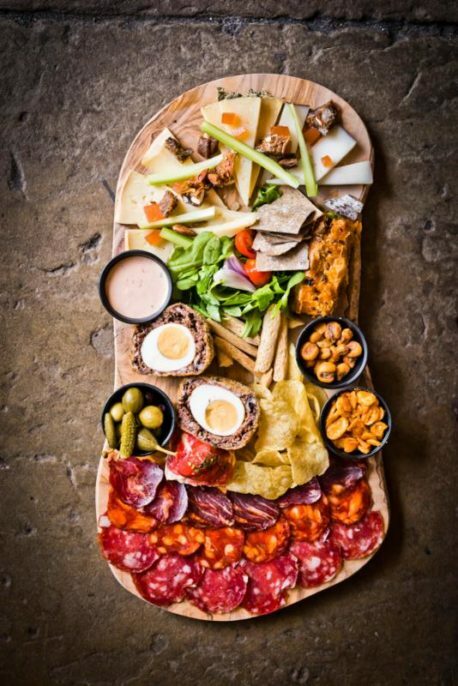 Manchester’s newly crowned City Life ‘Bar of the Year’, Flok, are hosting a special deal to ensure you and your significant other don’t go hungry or thirsty this Valentine’s Day. 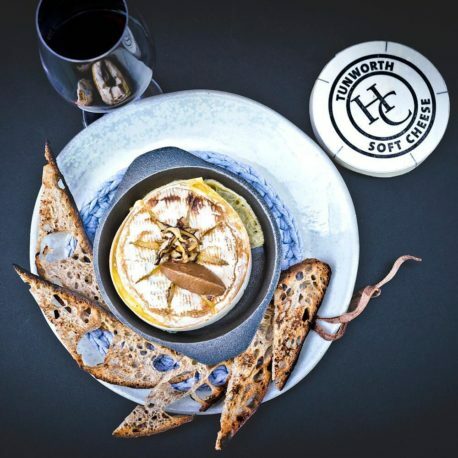 For just £20 per head, the loving couple will receive a special platter, two small plates, and UNLIMITED WINE (or Flok 4% beer) for an hour and a half. From 7.30pm to closing, Flok will be proving that bottomless isn’t just for brunch but the ultimate way to declare your true love. With only 8 tables available for lucky couples, booking is essential to ensure your spot as Flok gets romantic. 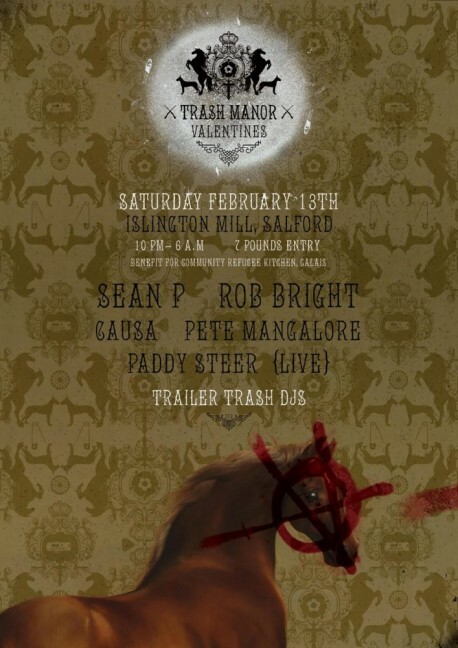 Wed 14 Feb, Flok, 5 Stevenson Square, Manchester M1 1DN. 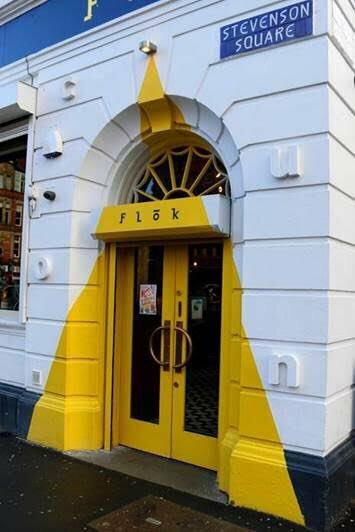 Tel: 0161 236 7212, email bookings@flokmcr.com to book. www.flokmcr.co.uk For more Valentine's ideas click here. 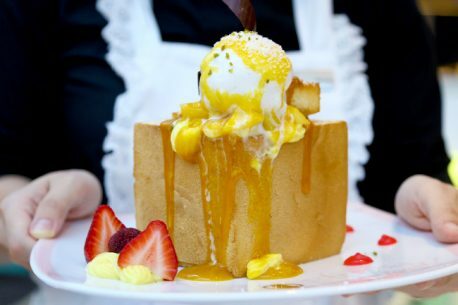 Food & drink news ft. Brothers Izakaya, Valentine's The Gallery Cafe and Levanter. This week in food news we are looking ahead to February with the chance to wine and dine amongst the artworks at the spectacular Manchester Art Gallery, and the imminent opening of Aiden Byrne’s much-anticipated 20 Stories. We have some traditional Jamaican cuisine now serving up Oxford Road’s Hatch development and rumors of an informal Izakaya sushi bar for the Northern Quarter. Book now: The Gallery Café's Valentine's Day special For an elegant Valentine’s dinner a cut above, The Gallery Café are hosting an exclusive three-course meal devised by chefs Mary-Ellen McTague and Isobel Jenkins. 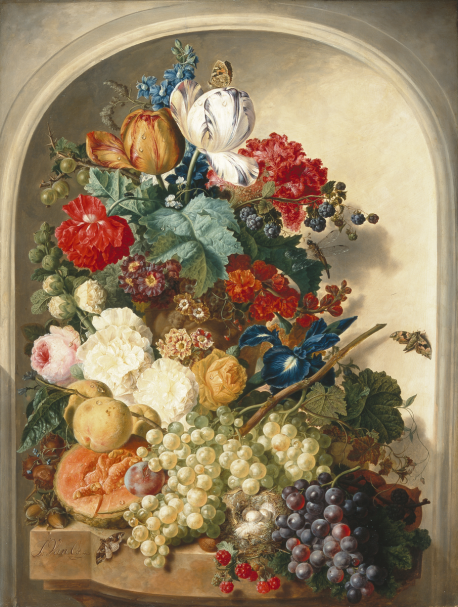 Sounds like a great way to spend Valentine’s Day to us - an evening perusing Manchester Art Gallery’s Pre-Raphaelite masterpieces, before heading downstairs for a cocktail and an indulgent dinner, created by two of Manchester’s most celebrated chefs. 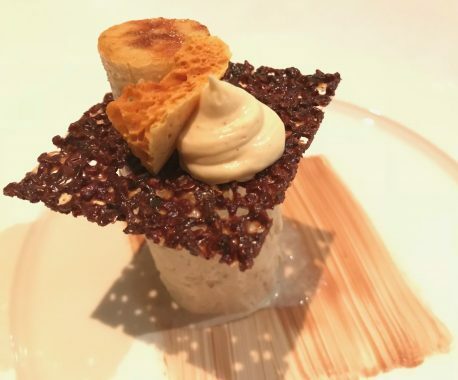 After receiving accolades for her work at fine-dining restaurant Aubrey, MacTague was enlisted to overhaul The Gallery Café where she set about creating a menu that reflected her enthusiasm for seasonal local produce. For this one-off event she is joined by Isobel Jenkins, of Seasons Eating Supper Club, so expect dishes that celebrate the produce of early spring, letting ingredients shine, and showing off the skills of local producers. The menu includes cured mackerel with celeriac, apple and lovage on rye, and a game pie main with smoked chestnuts, truffle mash and kale. With just 20 pairs of tickets available, this one is sure to sell out quickly and we suggest hot-footing it to the booking page soon. Click here for more Valentine's food picks. Thu 15 Feb. Manchester Art Gallery, Mosley Street, Manchester, M2 3JL, 7-9pm, tickets £40 (£60 with wine pairings). www.eventbrite.co.uk Evelyn's Cafe to open Japanese restaurant Brothers Izakaya in NQ The team behind popular Northern Quarter hangout Evelyn's Cafe and the Mughli restaurants are adding another bar to their ever-expanding portfolio. Brothers Izakaya will open in 2018 at an as-yet-undisclosed NQ location and promises to be 'a casual Japanese restaurant and bar'. An Izakaya is an informal bar, a local late night hangout not dissimilar to a tapas bar where you can drink a glass of Saki whilst sharing sushi with friends (so says wiki, anyway). If that's the vibe they're going for, it sounds lovely and we are in. Watch this space for more updates. Opening soon. www.brothersnq.com Cask and Pollen to make the move to Ancoats Two new openings have been announced for the Cotton Field Wharf development with Cask and Pollen both making plans to move to new premises in Ancoats. Pollen will be closing the shop at the railway arch that saw them launch their successful start-up bakery, and firing up the ovens to begin production from their new Ancoats base. Their new site will also have a cafe space, so you can sit and enjoy their award-winning bakes with a cup of (decent) coffee. Castlefield bar Cask are also readying themselves for a move North with the opening of second bar, stocked full of world-class international beers. Read more about it here. Both opening spring 2018. Cotton Field Wharf, New Union Street, Manchester, M4. www.mcrlife.co.uk Opening soon at Hatch Caribbean street food vendor Eat & Sweet will soon be coming to one of the shipping container style spaces at the new Hatch development, joining Takk, nano-brewery Ol, El Marchador Tacos and the Quebec poutine kings, Blue Caribou Canteen. The unlikely spot beneath the bypass has quickly become one of the best places for student lunching (or post-lecture drinking). Opening soon. Eat & Sweet at Hatch, Oxford Road, Manchester, M1 7ED. www.eatandsweet.co.uk Award winning Dim Sum at Ancoats Coffee Co. Ancoats Coffee Company host a supper club with British Street Food Award winner Dim Sum Su. 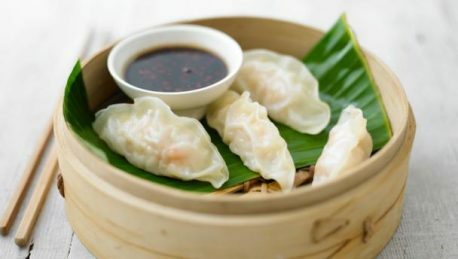 The six course set menu features a selection of popular Cantonese and Chinese dishes including Korean fried chicken steamed bao, leek and choi sum dumplings and mango and tapioca trifle. Keep an eye on the Ancoats Coffee Co.'s twitter feed for more upcoming supper clubs. Fri 26 Dec, Ancoats Coffee Co., Unit 9 Royal Mills, 17 Redhill Street, Manchester, M4 5BA. £5 deposit, with £25 to be paid on arrival. BYOB www.ancoats-coffee.co.uk @DimSumSU Deal of the week It might be a bit out of town but Levanter fine foods in Ramsbottom have made a name for themselves as one of the best tapas places in the north, raved about in The Guardian, and winners of numerous awards. It's also useful to know that Levanter have a January deal that lets you order three tapas dishes for £15, available from Wednesday evening through to Friday lunchtime. The offer includes deep fried artichokes, salt cod scotch egg, mussells in manzanilla and many more besides. Check out our list of great January offers here. Levanter Fine Foods,10 Square Street, Ramsbottom, Bury, BL0 9AT. www.levanterfinefoods.co.uk IN SHORT Opening soon: An end of February date has been set for the much-anticipated opening of Aiden Byrne's sky-high restaurant, 20 Stories. Featuring a bar, roof terrace and a restaurant space with room for up to 300 covers, the ambitious venture looks set to have some pretty ambitious scran too. Read more about what's on the menu here. From Feb 2018, 20 Stories, No. 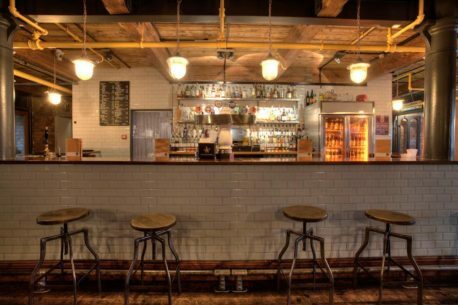 1 Spinningfields, Quay Street, Manchester, www.danddlondon.com Tap Takeovers: As part of Tryanuary, a nationwide campaign to support small brewers in January by forgoing the abstinence of dry January, there are some pretty decent tap takovers happening this month. Keep an eye on the Chorlton Brewing Company National tap takeover which will see special brews (not that kind) pop up at the likes of Bundobust and Öl. Track brewery will also be hosting a tap takeover at Font on Thursday, and South Bermondsy Micro-brewery Partizan will be on the bar at The Pilcrow. Fri 26 Feb – Sat 28 Feb, various locations. 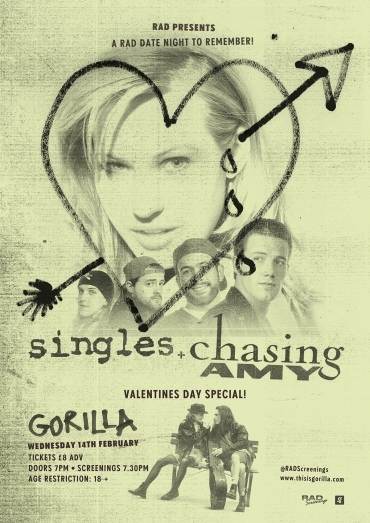 Valentine's Day: Singles & Chasing Amy RAD screenings at Gorilla. This Valentine's Day, Rad Screenings are taking us back to the 90s when romance had a pretty banging grunge soundtrack as they present Cameron Crowe's Singles and Kevin Smith's Chasing Amy in a double bill at Gorilla. Kicking off with the Seattle based love letter to the ever-expanding music scene in that city of Crowe's Singles before showing Kevin Smith's most complete work to date in Chasing Amy's bi-curious look at sexuality, comics and Silent Bob. A real one-two punch of nostalgic love affairs and a must for those who love the grittiness of the 90s and the beating heart that dwelled beneath the baggy flannel shirts of that era. Wed 14 Feb, Gorilla, Arch 54/56 Whitworth Street West, M1 5WW. Tel: 0161 826 2998 7pm £8 adv www.thisisgorilla.com For more Valentine's Day ideas click here. 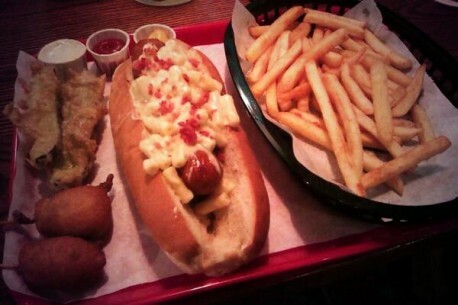 Manchester Valentine's food & drink round up ft. vegan & dessert supper clubs & Grub. This week's food and drink news is largely Valentine's related - but there's a whole host of eating and drinking to be done that breaks the rules. 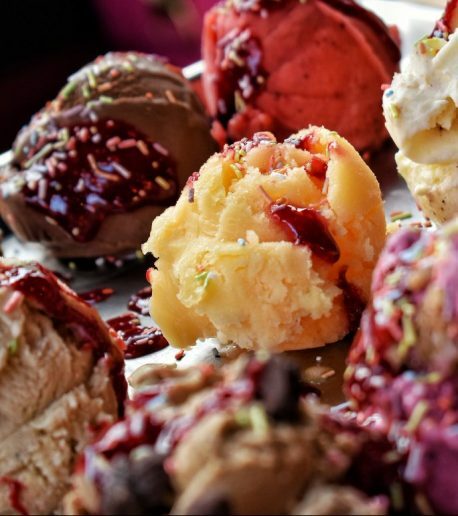 We recommend North Star's Vegan Valentines spectacular, a Lady and The Tramp themed supper club, The Real Junk Food Project, Casablanca and cocktails at Kosmonaut and much more... Book now: Ethical, waste-using The Real Junk Food Project pop up at The Koffee Pot Heading back to one of their original venues, the food waste champions will be rustling up a menu from food otherwise destined for landfill, at The Koffee Pot. Based on Oldham Street, they will open the bar and have made it clear that doesn’t operate under the pay-as-you-feel basis! But the food does. You can pay the amount you think the food was worth with cash or via PayPal on the night, with all funds raised going back into the project. Booking is required, register your free place via the link below. Wed 8 Feb, 7-11pm, The Koffee Pot, 84-86 Oldham Street, Manchester, M4 1LE. Tel: 0161 236 8918, 7pm, pay what you like, www.eventbrite.co.uk Cinema & food pop up: The Village Screen & Bar at Victoria Baths The Village Screen is back, opening up Manchester’s iconic Victoria Baths for screenings of 10 Things I Hate About You, Beauty and the Beast and Moonrise Kingdom over a two day stint this weekend. More information and tickets available via the link below. During the screenings, The Village Screen bar will be open, serving up prosecco, wine and craft beer, plus food pop-ups Prove Pizza, Caribou Poutine and Ginger’s Comfort Emporium will be on hand with sweet and savoury food options. Fri 10-Sat 11 Feb, Victoria Baths, Hathersage Road, Manchester, M13 0FE. Tel: 0161 224 2020, times and prices vary, www.thevillagegreenevents.co This Saturday: GRUB Food Fair at Alphabet Brewing Company As if they’d never been away, GRUB Food Fair marches on, occupying Alphabet Brewing Company underneath the arches. Just a five minute walk from Piccadilly train station, the bar serves up the brewery’s beers straight from the source as well as a variety of ciders, wine and soft drinks. They accept cards, but remember to bring cash for the food stalls. This week, food options come from Manchester street food stalwarts, with burgers from What’s Your Beef, Latin American cuisine from Yakumama, mezze from The Ottö-Men and handmade treats from The Manchester Doughnut Company. 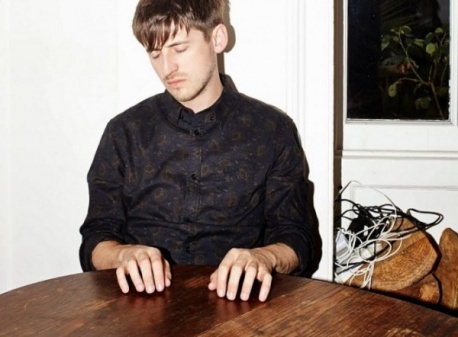 There will also be a guest appearance from London pop-up outfit, the Raclette Brothers. Bringing the traditional Swiss dish to proceedings, they’ll be serving it onto garlic potatoes and there’s talk of them doing a collaboration with What’s Your Beef to make the ultimate oozy burger. Sat 11 Feb, Alphabet Brewing Company, 99 North western Street, Manchester, M12 6JL, noon-10pm, www.facebook.com Book now: Lady and the Tramp-themed supper club at Claire’s Market Café With couples, friends and family welcome, this weekend sees a Lady and the Tramp-themed supper club arrive at Smithfield Market. It’s a ‘bring your own booze’ arrangement, but there will be a specially concocted gin and wine pairing on offer. The menu begins with a starter of duck prosciutto salad, with home-cured duck breast, chicory, pickled mushrooms and crispy noodles and a plum and sesame seed dressing. An artichoke soup will follow before a main of the film’s classic dish, spaghetti and meatballs. To finish, there will be a rhubarb baked cheesecake with custard cream base and rhubarb jelly. Tickets are £26 per person, available via the link below. Sat 11 Feb, Bella Notte Supper Club, Claire’s Market Café, A27 New Smithfield Market, Manchester, M11 2WJ, 7.30pm, £26, www.facebook.com Film screening & matched cocktails: Casablanca at Kosmonaut (pictured) Northern Quarter bar Kosmonaut will be screening classic film Casablanca this Sunday. To accompany Sam playing it again, they will be offering a menu of classic cocktails, inspired by the story. Tickets include the film and two cocktails, available via the link below. Sun 12 Feb, Kosmonaut, 10 Tariff Street, Manchester, M1 2FF,4-8pm. £12, www.eventbrite.com Book now: Valentine’s supper club at the Kitchens The Spinningfields-based restaurants Platzki, Yard Food Shop and Beastro are joining forces to bring a six-course menu to couples, solo diners and groups alike. Beginning with Jamaican cho cho soup, a ham hock bon bon will follow, served with crispy belly pork. Then, lemon thyme dumpling stuffed with confit duck and cherry jus, before moving on to lamb loin stuffed with black pudding, crushed pea, pancetta and beef dripping potato. A final savoury course of jerk chicken with rice and peas will be served before a walnut cake dessert, on a bed of almond mousse, accompanied by Polish mead. Tue 14 Feb, The Kitchens, Leftbank, Manchester, M3 3AG, 7pm, £35, www.eventbrite.co.uk Book now: 5-course Vegan Valentines supper club at North Star Deli Conveniently located next to Chorlton tram stop, North Star Deli has created an ‘aphrodisiac-filled five-course taste explosion’ for that special vegan in your life. The menu begins with black figs, roasted beetroot and quinoa salad, followed by courgette pasta with grilled asparagus and Himalayan salt with Mediterranean vegetables. The main course is Moroccan spiced chickpeas with roasted cauliflower, apricot and giant cous cous, ending with an avocado lime cheesecake. Tue 14 Feb, North Star Delicatessen, 418 Wilbraham Road, Manchester, M21 0SD. Tel: 0161 237 9619, 7-10pm, £25, www.eventbrite.co.uk Book now: Dessert Supper Club at And the Dish Ran Away with The Spoon The monthly supper club is offering diners an alternative experience this Valentine’s Day, with all guests invited to gorge on their delicious homemade desserts. 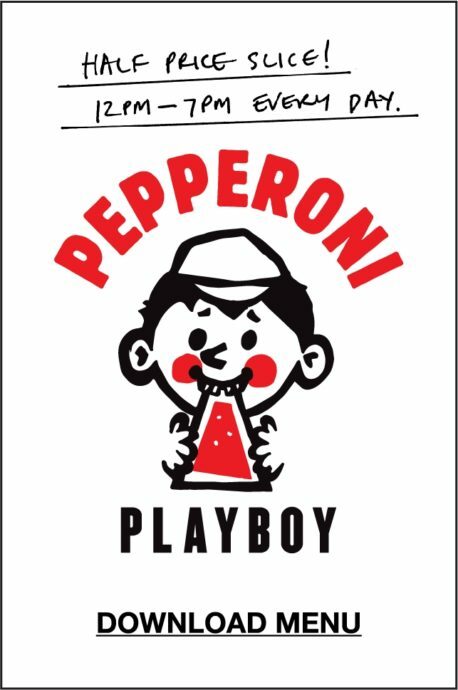 They invite couples wanting to do something different, groups en masse, and sweet tooth enthusiasts. There is more information on the link below plus a contact, should you need to check on dietary requirements. Tue 14 Feb, And The Dish Ran Away With The Spoon, 230 Burton Road, Manchester, M20 2LW. TeL0161 637 5517 7.30-10.30pm, £25, www.eventbrite.co.uk IN SHORT Reminder: Malaysian Food Fair is coming this Sat 11 Fen to Trinty Sport Centre on Cambridge Street; the next food pop up at Ancoats General Store will be bagels and subs from Eat New York on Thu 9 Feb, 12-8pm. 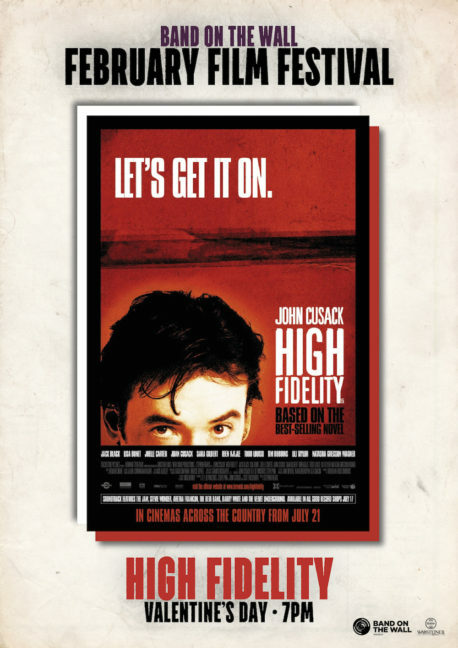 Valentine's Day: High Fidelity film screening at Band on the Wall. 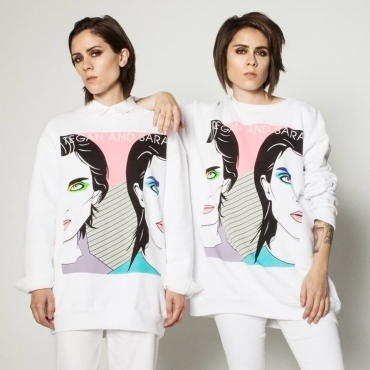 Valentine's Day: Tegan & Sara at Manchester Albert Hall. Top 4: Alt-Valentine's ft. King Street Townhouse, Gorilla, Whitworth + Islington Mill. 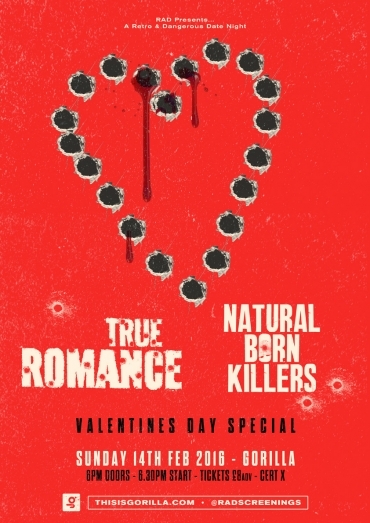 Valentine's Special: True Romance and Natural Born Killers at Gorilla. 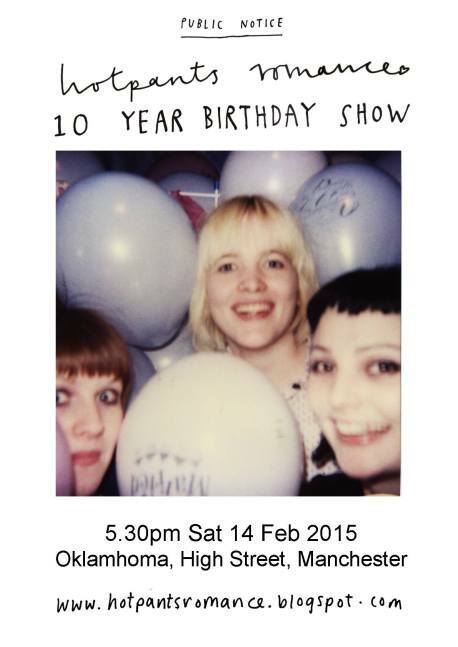 Free gig: Hotpants Romance's Valentine's show at Oklahoma. 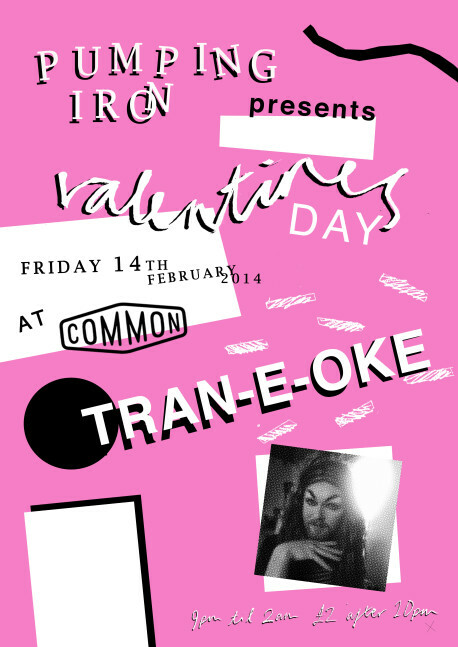 Top 3: Alternative Valentine's Day ft. Tran-e-oke, The Lowry & Whisky Shop. Manchester food & drink news ft. 50% off food at new Mowgli, Alabama's & more. Top 10: Food and drink deals in Manchester in February 2019. 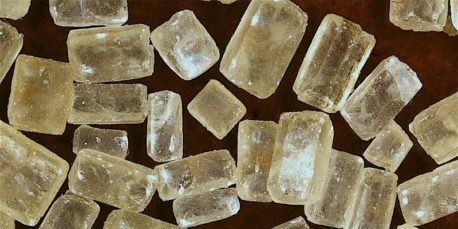 Free talk, sugar tasting & workshop: Bittersweet at Manchester Museum. 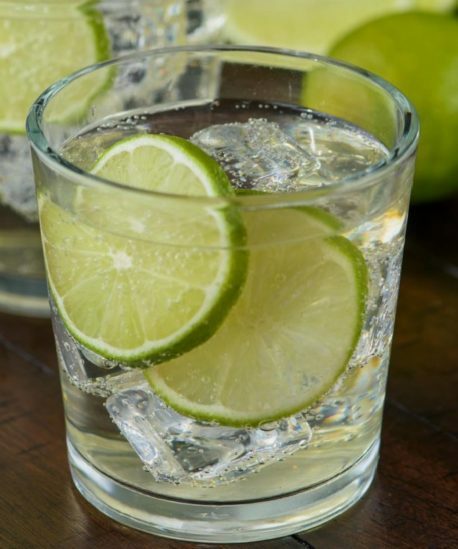 Book now: The Gin Society Festival at Manchester Cathedral. Food & drink news ft. new openings The Dazzling Cafe & Tre Ciccio. Food & drink news ft. Didsbury's Blend Pizza, Pioneer Coffee & more. Food review: The Lowry Hotel 3-course Spring menu for £15.95. Club picks: This weekend at Lazy Lizard ft. Ben Pearce, Tom Demac and Future Disco. 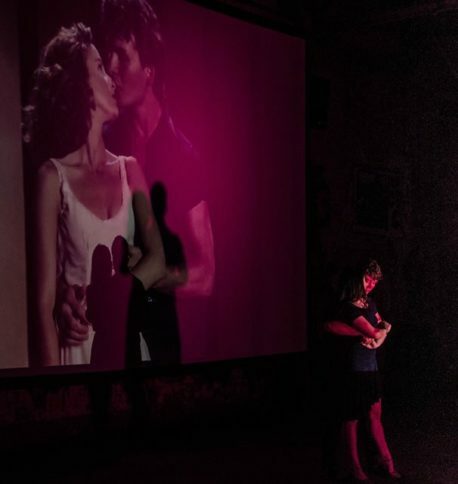 Now that the year is in full swing, it's time to come out of hibernation and get out on the dance floor and Lazy Lizard's February line up leaves you with no excuse to stay in. Ben Pearce and Tom Demac challenge you to something a little different, and Pacha's Future Disco host a Valentine's weekend special. The Ibiza inspired club has lighting that mimics the sunset and a sound system worthy of the best of the island's club scene, so escape the murky Manchester February and head out for a taste of summer in the Med. Thu 8 Feb: Future Thursdays The weekend can't ever start too soon – or that's the thinking at Lazy Lizard's Thursday night club night. It's totally free, there are a ton of great drinks deals on offer, and with resident DJs Steeve Valverde (Es Paradis) and Disco Kid (Sankey's Ibiza) on the decks, the soundtrack is in safe hands for your pre-weekend party. 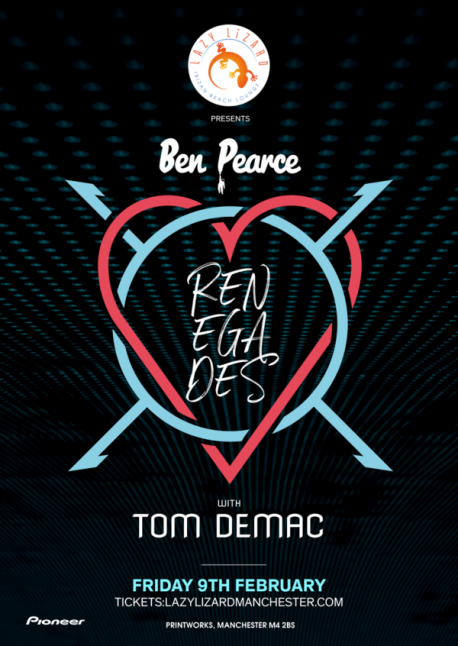 Free entry Fri 9 Feb: Ben Pearce's Renegades with Tom Demac Be bold, be brazen, be one of Ben Pearce's Friday night renegades. The DJ/producer delights in the unexpected bringing a little bit of everything into the mix, with soul, funk, disco, hip-hop infused sets. This week he enlists the help of UK based DJ Tom Demac for deep house beats that tread a different path. Early bird tickets from £5 www.skiddle.com Sat 10 Feb: A Future Disco 'Disco love affair' Come feel the disco love and bring back the glamour of old-school Ibiza nights as Future Disco host a one-off special for the Valentine's weekend. After a summer spent getting the party started at Pacha, these guys set their sights on Manchester with their monthly Lazy Lizard residency. Future Thursday promises to be an inclusive, crowd-pleasing night, with an eclectic selection of floor-filling classics to lift the mood and get up and grooving to. Early birds from £5 www.skiddle.com Lazy Lizard, The Printworks, 27 Withy Grove, Manchester M4 2BS. Tel: 0161 806 0180, www.lazylizardmanchester.com For more club picks click here. 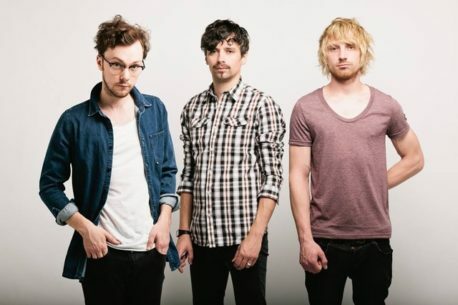 Book now: Young Legionnaire at Manchester Deaf Institute. Boxed In at Deaf Institute. Free things to do this weekend ft. Note skate shop, Dance of the Butterflies, Printworks Empire and Shut the Far Cupboard. Love it or hate it, single or taken, we've got some good free things for you to do over this Valentine's Day weekend. KR3W X Charles Peterson exhibition at Note skate shop The folk from skate brand KR3W have teamed up with iconic music photographer Charles Peterson for a collaborative exhibition featuring candid images that immortalised the birth of grunge. With bands including Nirvana, Mudhoney, Pearl Jam and Hole, the exhibition is a rare look into the underbelly of Seattle's grunge scene from its very beginnings. This Friday will see the exhibition in full at Note Skate Shop, with a short film screening, limited free booze and T-shirt giveaways. To secure a place, RSVP to george@canoeinc.com. Fri 13 Nov, Note Skate Shop, 61 Thomas Street, M4 1NA, From 6pm, FREE, www.noteshop.co.uk Romuald Hazoumè on Dance of the Butterflies (pictured) Dance of the Butterflies is a new art work by one of Africa's foremost contemporary artists, Romuald Hazoumè, launching to coincide with the reopening of the Whiteworth. 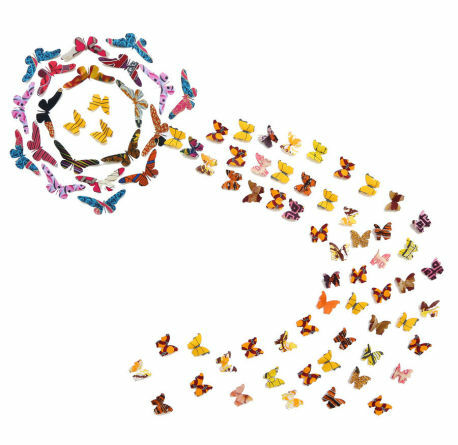 The work will feature hundreds of multicoloured butterflies that will take over the museum's Living Worlds gallery, made from off-cuts of vibrant African wax-print fabrics to represent an African take on politics, exploitation, and the way in which tiny impulses with within chaotic systems can lead to unexpectedly serious effects - better known as the ‘butterfly effect’. Hazoumè will present a talk on the work on Sat 14 Feb, which is completely free but booking is required via the link below. Sat 14 Feb, Manchester Museum, The University of Manchester, Oxford Road, M13 9PL, 3-4pm, FREE (booking required), www.eventbrite.co.uk Printworks Empire Discarding the syrupy world of heart-shaped cookies and bright pink plush teddy bears, The Printworks hosts a Valentine's Day event with a difference, ushering in old-school vibes for a nostalgic prohibition-themed gangster party. With live swing and jazz music, twenties-style dance classes and special offers and deals across The Printworks' various dining and entertainment venues, there will also be headliner DJ Katz Korner to soundtrack the day. Sat 14 Feb, The Printworks, 27 Withy Grove, M4 2BS, From 12pm, FREE, www.theprintworks.com Shut the Far Cupboard at Odd Shut the Far Cupboard brings together live music, spoken word and 'general merriment' for a perfect and eclectic weekend wind down, with all talent sourced by hosts The Travelling Band. Taking place every 1st and 3rd Sunday of the month, this Sunday's bash features Manchester minimal folk noir band Elle Mary and the Bad Men, folk duo Finch and the Moon, plus folk/pop/rock musician from Macclesfield Hugo Kensdale. Sun 15 Feb, Odd, 30-32 Thomas Street, M4 1ER, 8pm, FREE, www.oddbar.co.uk Know of any freebies coming up? Email jess at manchesterwire dot co dot uk with the deets. Top 3 ways to celebrate Independence Day.